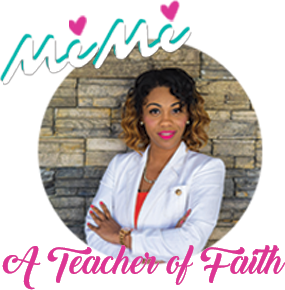 The Heart of MiMi: So You Want to Be an Entrepreneur, Huh? So You Want to Be an Entrepreneur, Huh? Entrepreneurship means owning your own business. You can not approach this level with fear and a lack of knowledge. Research is very vital. YOU are responsible for learning your business, so do not sit back and wait for anyone to help you because many won't because they do not understand your vision. It's like putting a civilian in the middle of a platoon of soldiers and asking the civilian for war tactics. You can't know what you're not vested in. Entrepreneurs must have a changed mindset and prospective. Nothing is a waste if carefully calculated. It is an “INVESTMENT.” It is imperative you become kingdom & business minded, and when you get financially stable, you give. Will you provide goods or services or both? Forget about not feeling “man or woman enough” in this process and know it takes time to build. This is a season, so be uncomfortable for now so you can have your dream later. Do not get caught up in who “supports” you. It took me awhile to see that just because people are my friends does not mean they are vested in what I do. Market and find the avenues of people who will support you. Understand it is your vision; God gave it to YOU. - These are some basic lists for becoming an entrepreneur. Check your local small business administration for further details. Or contact me for more information.